Today is 清明节 Qing Ming Jie (Tomb-Sweeping Day), a day when families go out to gravesites to remember and worship their deceased ancestors. There aren’t really cemeteries in our little rural area; each family buries their dead in their own field or plot of land, though there tend to be lots of graves on certain mountains. Each year on Qing Ming, families go to clear away the weeds from around the graves and then decorate them. They light incense, pray, and make offerings to the departed, then they may set off fireworks, fly kites, or enjoy a picnic right there in the field or on the mountain. So, the feeling is a bit Memorial Day, a bit Day of the Dead. Though the actual holiday is today, the town has been getting ready for a while. 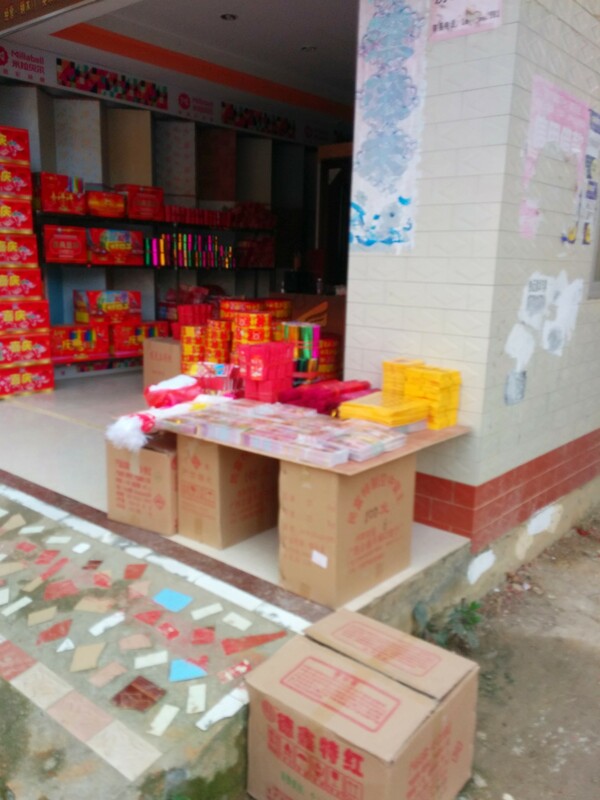 Streamers, incense sticks, and spirit money have appeared for sale at many of the little shops in our neighborhood. We’ve heard fireworks, smelled incense and seen ash fluttering down for a couple of days now. 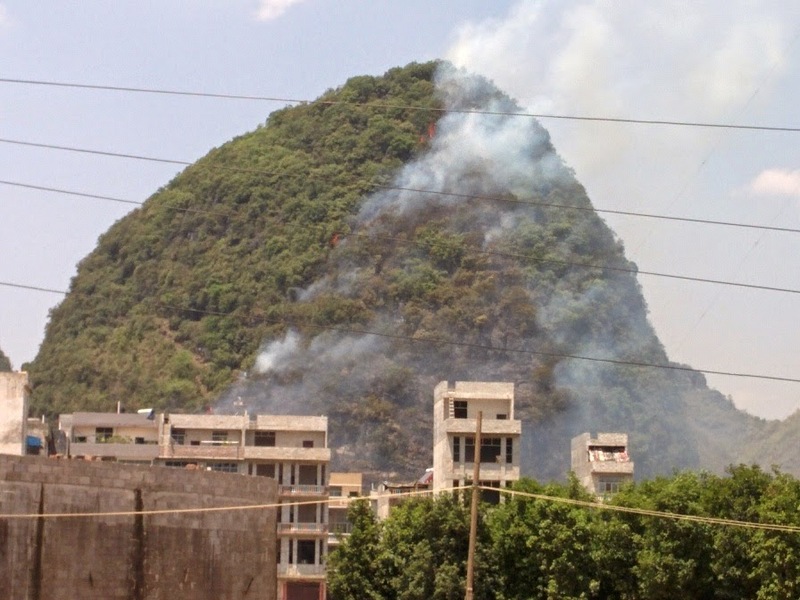 Yesterday, someone’s celebration started a brush fire on a nearby mountain. Very festive. I’m glad for the holiday atmosphere around town because today is also Easter. If you’re from the U.S., you probably remember what a big deal it was when Hannukah and Thanksgiving fell on the same day two years ago. 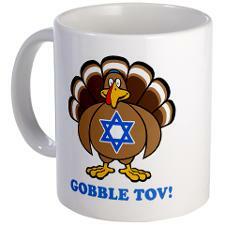 It got its own name (“Thanksgivukkah”), its own Wikipedia entry, its own catchphrase (“Gobble Tov!”) and much more. Easter + Qing Ming is not getting so much attention, probably because it’s very likely they’ll overlap again soon, or at least much sooner than the next Thanksgivukkah. Still, despite not making headlines, I find it somehow appropriate to have Tomb-Sweeping Day on the same day as Easter. While everyone around us is going out to the tombs of those who have died, our family is remembering a day when some women went out to a tomb, and found it empty. Sadly, it’s probably not interesting enough for the world to put it on a mug. Happy “Empty Tomb-Sweeping” Day, everyone!